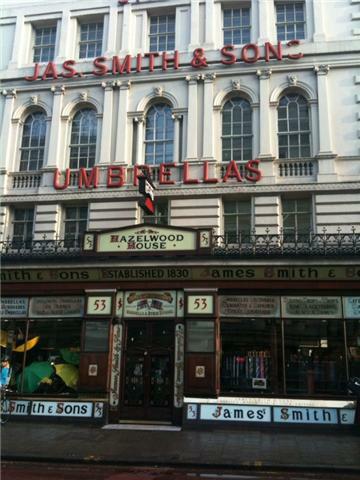 Truly British: Walking past this shop the other day I was reminded of James Smith's family run business and their reliable and reputable product for a (predictable) British weather system. 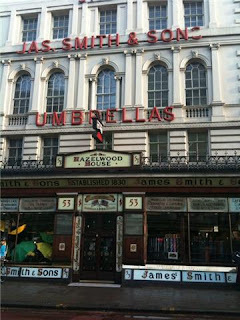 "The world famous James Smith and Sons Umbrella Shop was founded in 1830 and is still owned and run as a family business. 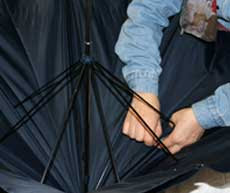 For 175 years the company has been making umbrellas, sticks and canes for both ladies and gentlemen and their reputation as the home of the London umbrella is well justified.